IELTS (International English Language Testing System) is a standardised English test run by and managed by the Cambridge English Language Assessment, the British Council and IDP Australia. The test is taken in order to show proficiency in the English language in order to study abroad or for immigration purposes, such as to work. Great feedback for our writing training! Thank you very much IELTS buddy! I had a band 8 in the IELTS exam last week! Your lessons were priceless, especially the writing lessons. I raised my mark from 6.5 to 7.5 in three weeks! I am really grateful! The letters stand for the International English Language Testing System. It is a test designed to measure your ability in the four skills of writing, speaking, reading and listening. After the test you will be given a score from 1-9. You use this score for admission to a university or to work abroad (institutions and employers decide what score they require). It is accepted by many institutions and employers in the UK, Australia, New Zealand, South Africa and North America. If you are intending to study abroad, you will take the academic writing module. This test takes 60 minutes and there are two parts. You will have to write an essay and analyse a graph or diagram. The reading test takes 60 minutes and is divided into three sections. Each section will have an academic reading of about 600 words and you will have to answer 40 questions in total. In this part of the test, you will have a 11-14 minute interview with an examiner. The examiner will ask you questions and evaluate your responses. The questions are easier at the beginning but get harder at the end. The listening test takes 40 minutes and is divided into four sections, each one slightly harder than the first. There are 40 questions. You'll have to listen to each section and answer the questions as you listen. The general training module is intended to test English ability in a more practical, everyday context. The test format is the same as above for the listening and speaking. However the writing and reading modules are different. People often take the general training module if they are intending to work or live abroad. If you are taking the test to work abroad, then you will take the 'general training' module. You will also have to write an essay, but you will have to write a letter instead of analysing a graph. The reading test is different to the one for the academic module. The test is still 60 minutes and there are 40 questions to answer. However, the readings are different as they are based on real life situations rather than being academic. Same as for the Academic Module. 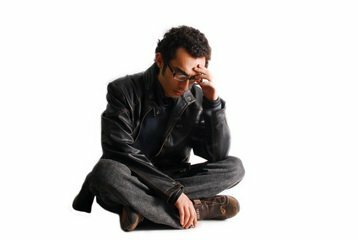 Are there things that you are worried about in IELTS or you don't understand? The site is here to help you with all the kinds of issues you may have with the test. This is probably one of the first things you'll be asking yourself if you are new to the test or you've take it but think you may not be preparing properly. You are given a separate score for each module of the test and these are then averaged together to give you a final overall band score. 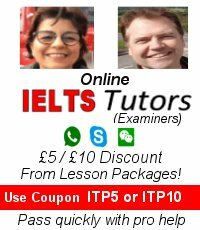 What are recent IELTS exam topics? It's useful to get an idea which questions have come up in the IELTS writing exam so you know what kinds of essay questions you have to prepare for. The test dates are usually on a Saturday three times a month, and some Thursdays. They are set in advance for the whole year and are on the same date in every country. Thanks to your essays, I scored 7.5 in writing with just two days preparation. Your website is very useful. Thanks for your generous help. Alternatively, use the RSS feed below the navigation bar on the left. Click on the [?] if you are new to RSS.